Monday, November 10, 2014 12:15 pm. Update: Jan. 22, 2015 - Knoxville-based Angel Capital Group announced it made an investment of undisclosed nature and magnitude in Fiveworx.-Ed. FIVEWORX, the Knoxville-based spinout that helps Energy providers engage their customers in consuming less energy, now considers a capital raise among its options for financing growth, said CEO Patrick Hunt. "We've bootstrapped it so far, but we have recently been in conversations exploring all financing options, including venture capital," Hunt said during an interview for this story, last week. Fiveworx has "aggressive" near-term growth plans, including spending to develop more intellectual property, said Hunt, without elaborating. Growth prospects are enhanced by the fact that its primary customers are energy providers, Hunt said. Also, the business gets a lift from the fact that Utilities in 31 states are mandated by their states' governments to help customers save energy, said Hunt. Hunt offered no timeline or target for a capital raise or other financing. VTC research shows the company is chartered as a Delaware company and its profile has been established in CrunchBase. Hunt confirmed that Fiveworx's advisors include attorneys with D.C.-based Squire Patton Boggs, and accountants with Hines and Company, of Knoxville. Hunt declined to discuss the company's current ownership structure, revenue or related matters. The chairman of the Fiveworx board of directors is Suzanne Shelton, who in 1991 founded Shelton Group. She has become a thought-leader in the sector and is the founder of Knoxville-based marketing communications, polling and analytical services provider Shelton Group, founded in 1991, according to information online. Lee Ann Head, the Shelton Group's VP-research is a Fiveworx co-founder and board member, along with Suzanne Shelton and Hunt, he confirmed. Fiveworx currently has four fulltime employees and several part-time employees or contractors. Fiveworx became self-funding in January, after offering its software-as-a-service (SaaS) platform nearly a year from within Shelton Group. Hunt was previously a VP with Shelton Group, according to his LinkedIn. 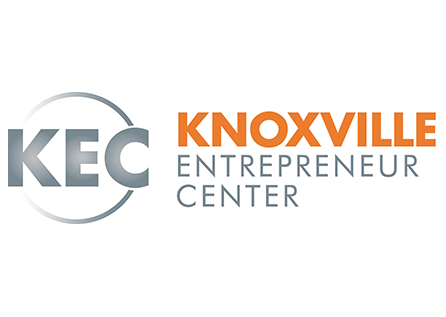 On Friday, Hunt participated in a Knoxville Entrepreneur Center (KEC) panel discussion on the state of Knoxville entrepreneurship. There has been enormous entrepreneurial progress in the Knoxville, Hunt told the KEC audience, noting that "in the last ten years it's like night and day." Even so, Hunt said Friday, raising capital is typically challenging for early-stage companies, anywhere. "There are always a hundred reasons not to invest, but only a few reasons to invest," he added. One of Hunt's fellow panelists, Mary Shaffer Gill, a VP with renewable energy-oriented ARiES Energy, added that she believes the Knoxville investor community remains excessively risk-averse. In addition, among his other comments, panelist Tom Ballard of PYA Analytics cautioned that Knoxville companies hoping to get funding from venture capital firms and others in Nashville will find that Music City venture capital firms and others are similarly challenged in pursuing that city's own investment opportunities, said Ballard. Related stories here. Fiveworx's platform offering incorporates CoNNECT citizen-engagement technology that it has licensed from Oak Ridge National Laboratory (ORNL). In a joint release with ORNL last summer, the parties said, in part, "Fiveworx will use CoNNECT to power its business intelligence platform, allowing utility program administrators and business analysts to make better decisions about resource allocation and marketing of energy efficiency, demand-side management, and demand response programs. Additionally, Fiveworx will use the technology to enhance its existing customer-facing application to include new features such as peer comparisons and to integrate data from CoNNECT into its marketing automation platform." The Fiveworx brand was derived from analysis of Shelton Group research findings showing that consumers typically must engage in five or more energy-saving behavioral changes or intentional actions to generate a critical mass of savings that will, in turn, encourage continual use of such improvements. Fiveworx is participating in the 2014-15 LaunchTN master-accelerator program, The TENN. It was previously chosen to present in this year's Southland startup conference in Nashville. And, in 2013, it was a Southeast regional semifinalist in the CleanTech Open pitch competition.